I’ve been again to give blood today (you should too – see blood.co.uk). 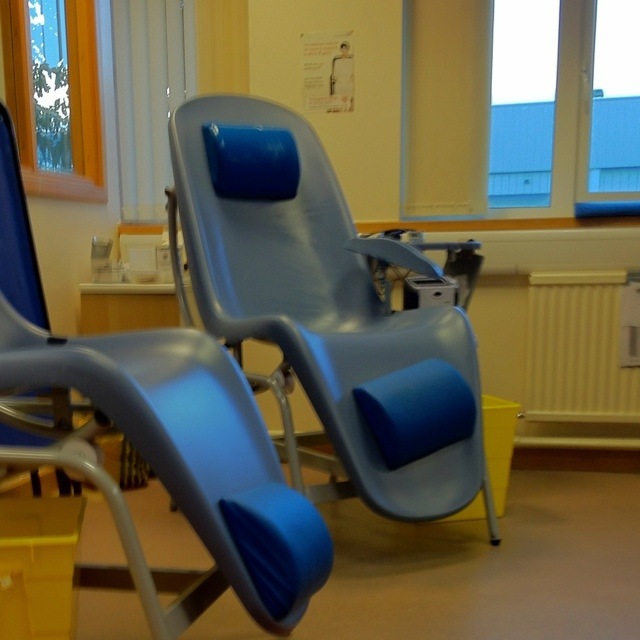 My local donor centre has just replaced its beds with these reclining chairs… I have to say that I found the process of being reclined a little unnerving! This 1,785th post was filed under: Health, Photo-a-day 2012, Medicine.